Chocolate Ricotta Mousse recipe by maham at DesiRecipes.com. Simple, easy and quick dessert made with chocolate, ricotta and sugar. In a food processor, blend the ricotta, sugar, and melted chocolate until smooth. Divide among bowls and top with the shaved chocolate. 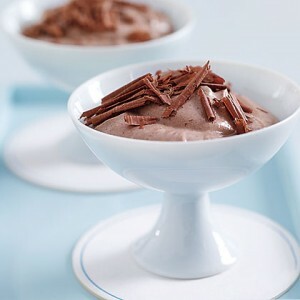 (The mousse can be refrigerated until ready to serve, up to 2 days.